Covestro (Leverkusen / Germany; www.covestro.com) has increased its stake in the thermoplastic polyurethanes joint venture DIC Covestro Polymer (DCP, Tokyo / Japan; www.dic-covestro.com) from 50% to 80%, taking 30% of the share held by Japanese PPS compounder and pigment manufacturer DIC (Tokyo; www.dic-global.com). The transaction, worth a "low double-digit million sum," is planned to close early in the second quarter of 2019, subject to regulatory approval. The German engineering plastics producer said the share purchase financial terms were not disclosed reflects plans to expand its global TPU business and complements its recent organic global capacity expansions of TPU sites in New Martinsville, West Virginia / USA and Changhua / Taiwan, which lifted output at each site by 25%. Increasing its joint venture stake is "a fitting step in Covestros strategy to grow through sustainability driven innovation," said CEO Markus Steilemann, who took over from Patrick Thomas in mid 2018 see Plasteurope.com of 13.04.2018. Steilemann sees the global TPU sector growing at a long-term average of 6% per year, with Covestro outpacing the industry with annual double-digit core volume growth over the past three years. The Leverkusen company formerly part of Bayer counts itself among the top three global players in thermoplastic polyurethanes. The business accounted for around 10% of sales of its Coatings, Adhesives, Specialties (CAS) segment in 2017. Despite the reduced shareholding, DIC will continue to support DCP with its industry network and strong brand name and as a reliable local partner, providing among other things feedstocks and on-site services, Covestro said. The JVs production and R&D will continue at the plant in Sakai / Japan within DICs facility in Sakai, Osaka prefecture. 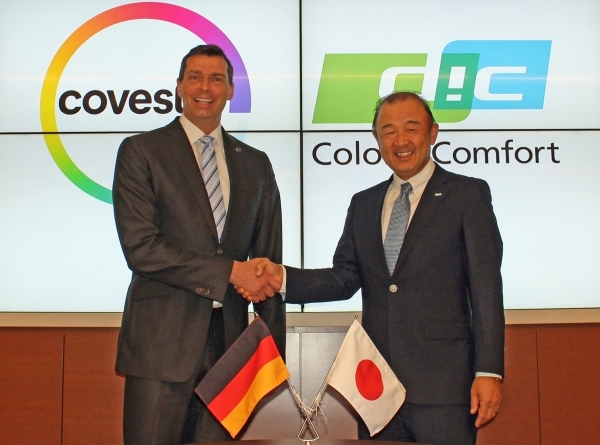 "DCPs unique local capabilities together with Covestros global network will form a powerful combination going forward," said Kimiyasu Yonemaru, president of Covestro Japan, adding that the increased shareholding "shows a clear commitment" to the Japanese market. DCP was established in June 2000 as a joint venture of Dainippon Ink & Chemicals (now trading as DIC) and Bayers Japanese arm. The portfolio includes TPU specialities such as "Pandex", "Desmopan" and "Texin", used in applications such as automotive, electric appliance, IT, health care and sports.